You're not as dumb as you look! "What Peter did with his camera in August of 1974 lets us experience Muhammad Ali's private world in a way not seen before. It's clear from the access Peter had that Ali was interested in history and saw value in the creation of a record of his activities at the crucial moment in his life." 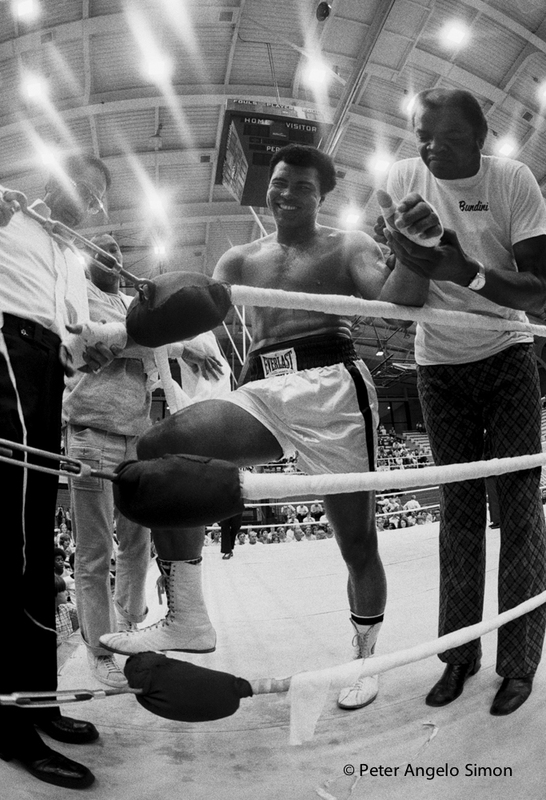 In two days photographing in Muhammad Ali’s rural Pennsylvania training sanctuary, Simon recorded Ali’s remarkable, mental and physical preparation for The Rumble in The Jungle in Zaire, Africa. These historic photographs are presented in an extraordinary book that reveals a seminal moment in cultural and political history. Photo: David McKeown/ Staff Photographer. 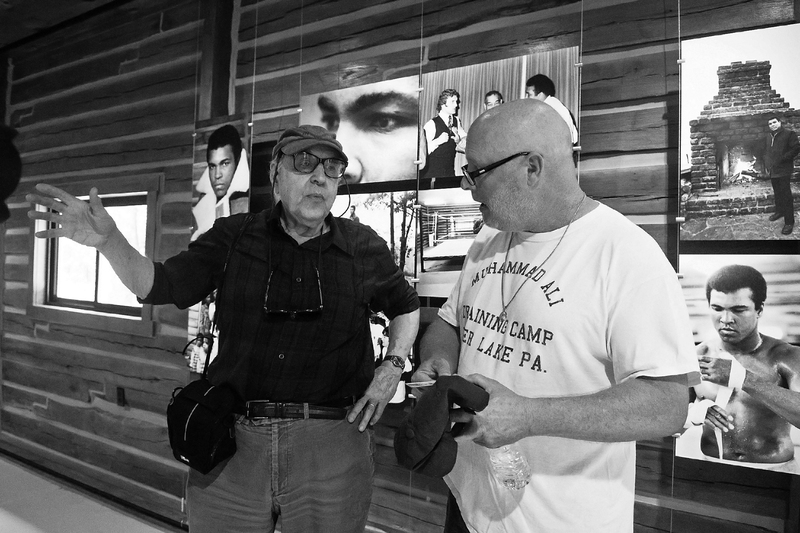 Peter Angelo Simon (left) discusses his book Muhamad Ali Fighter's Heaven 1974 with the camp's current owner Mike Madden in Ali's restored gymnasium at a June 1st memorial event. honoring the second anniversary of Ali's passing.